An aura of casual relaxation awaits you with this chair. 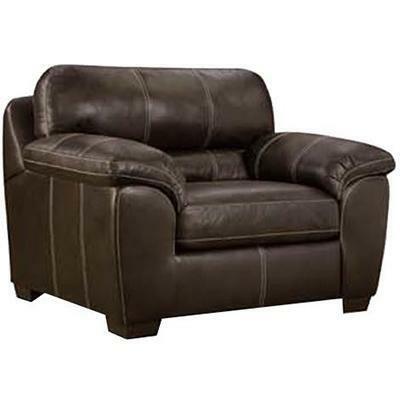 Crafted to look up-to-date while remaining as comfy as possible, this chair features plush cushions with lower back support sewn into the back seat cushions. Pillow topped arm-rests add comfort to each piece, giving the feeling that you're surrounded with pillows. The chair is complete with visible seam stitching for tailored details.